Belize City, Belize – January 10, 2012 - For the second successive time, the Belize Tourism Board is proud to announce that it was successful in its Twitter Live Chat that was held on Friday, January 6th 2012. 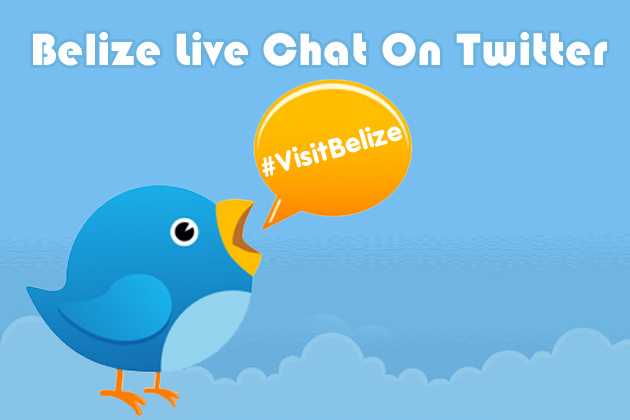 The Twitter Live Chat is a marketing initiative developed by the BTB to foster more awareness and knowledge about Belize as a tourism destination using various social media platforms. Spearheaded once again by Road Warrior, Norbert Figueroa of Globotreks, the chat was co-hosted by noted travel guide book author Joshua Berman, who has written extensively about Belize and Central America. And once again Ambergris Today had the privilege of taking part in this successful live chat where many answers were given to questions twitter users had about the country using the #VisitBelize hashtag and Maya 2012. Both twitter live chats have exceeded expectations. This time, the live chat reached an astonishing number of 91, 957 people who made a total of 555 tweets. With platforms like twitter and Facebook playing an increasingly important role in influencing travelers’ decisions about where they take their vacations, surely this Twitter Live Chat plays a very essential role in reaching a large audience. The live chat was carried out during a period of 90 minutes. During this time, twitter fans were able to get answers to questions, whilst they all also had an opportunity to win prizes like Maya 2012 guide books, which were kindly contributed by co-host of the chat, travel writer and guide book author, Joshua Berman. Since we are now in 2012, Belize has become one of the countries being searched for because of its richness in Maya sites. BTB grasps this opportunity by advertising Belize even more intensely. BTB thanks all participants and invite Belizeans and tourists to continue joining us in the future twitter live chats. We thank all hoteliers, tour operators, and participants who have helped in building this initiative. We look forward to making the Twitter live chat even bigger and better next time. For more information on how you can be a part of the next twitter Live Chat or to find out more about BTB’s Road Warrior Program, feel free to contact Road Warrior Project Coordinator Julie Schwietert at [email protected].